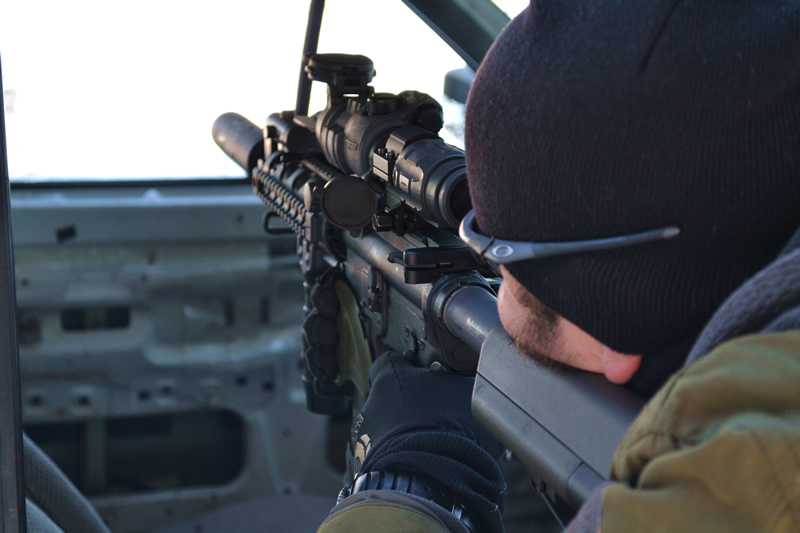 Our existing range was designed with two commercial uses: weapons re-qualifications and custom training for large clients with unique requirements. We are positioned in the Northern Virginia area to provide federal and local agencies, or corporations that are in the firearms training industry, a wide variety of tactical shooting opportunities. The main Range 82 building is a formerly accredited Sensitive Compartmented Information Facility (SCIF), it can be re-certified with minor modifications and updates. The building sits within a four acre fenced compound, has commercial power, back up generators, and space suitable as an HLZ within the fenced area. Range 82 could serve as an ideal Continuity of Operations (COOP) off-site location for a group needing a self-sustaining operational platform in Northern Virginia. The owners wish to invite any interested parties to the facility to discuss your specific needs or requests. Contact Lee at 571-722-7342 for your range requirements.